An entrepreneur just needs an idea and so did the Iranian-American economist Pierre Omidyar, who is best known as the Founder and Chairman of eBay, the online auction website. He has helped and is still helping a plethora of buyers and sellers to dealon a common platform, fulfilling the demands of both the sides. By bringing up sellers, he brought up the opportunity for buyers to locate products easily, whereas by bringing the up buyers, he opened the way for the sellers to easily track audience and start making money. The early life of Omidyar was all easy and full of amenities. Nevertheless, he never let that life take over his hard work and ambition and the man we see now is the example of this. 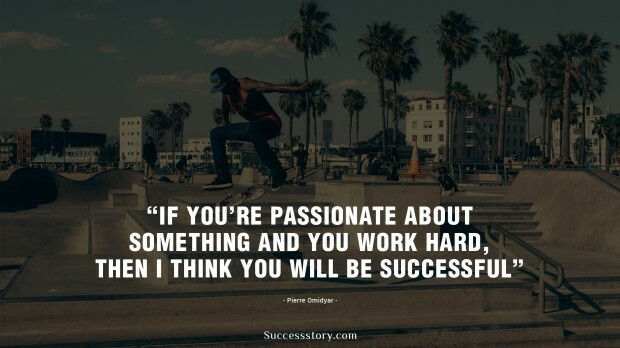 "If you are passionate about something and you work hard, then i think you will be successful"